France has unleashed their own version of “total football” on the 2014 World Cup and Switzerland was their newest victim. This France side has impressed me for many different reasons. Their ability to score goals, confidence and proficiency of their forwards, fluid midfield play, interchangeable pieces and a coach that is not afraid to change. I was a fan of Didier Deschamps as a player but as a coach he has always left me with doubts as far as his ability to not only lead the team but also able to pass on to them his tactical vision. At this year’s tournament he has been able to prove to everyone that indeed he is as good of a coach as he was as a player. We are looking at a French side that has 6 points after 2 games, has scored 8 goals and allowed 2. Not only that this is a French side that left Nasri at home and wasn’t able to take Frank Ribery due to injury. Going in to Brazil, most outsiders looked at the Nasri snub as a mistake and when Ribery wasn’t fit to play, they started to book France’s flight home at the end of the group stage. Nobody expected that this “weaken” side would be able to be so efficient. Today’s game was another proof of how strong this French team is, not because they scored 5 goals, and it could had been more, but because they gave themselves the luxury to keep on the bench Paul Pogba and bring him on late in the second half. One of the best midfielders in Europe sitting on the bench in such an important game, it could be seen as arrogance or defiance, but Deschamps knew exactly what he was doing. His message was simple, he had a bad opening game, and he was given time to reflect. If you want to start for Deschamps you have to give a lot more than what Pogba did in that first match. His rotation of players is immaculate, bringing Giroud in today after not starting him for the first match was genius. He has gain a player in the tournament instead of ostracizing him for the rest of the tournament. 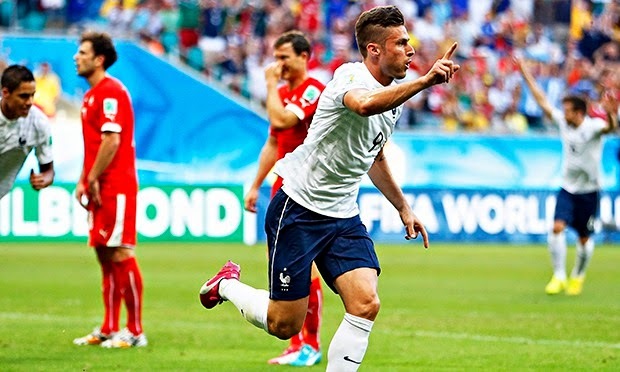 Giroud scored and assisted and he is now motivated to help his country either off the bench or on the starting eleven. So many players we could highlight in this French side have stepped up to fill in the huge shoes left behind by Ribery, but nobody deserves a few words more than Benzema. The big cat has caught his mouse. 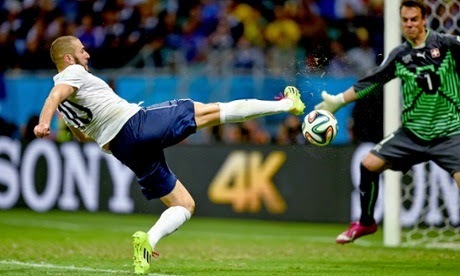 He is on fire in this tournament and a full confident Benzema is a dangerous Benzema. He can have a huge tournament playing for Deschamps in the way he has this team playing. He proved today that not only he can be effective playing as a sole forward or playing with someone up front. 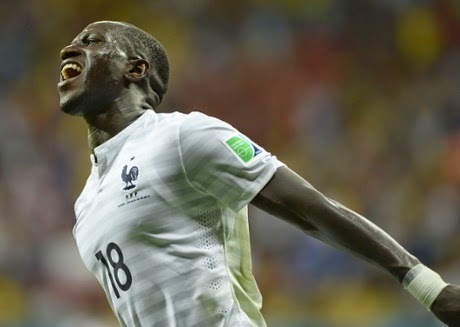 He is versatile and he is scoring, two things that Deschamps is lucky to have at this moment. This is a very different French side from previous sides we have seen in past tournaments and the biggest difference is that they play like a team. No egos, no agendas, no clicks, just a group of players playing for their coach, country, flag and most important each other. The reason for all of these changes has to be Deschamps. He has been the true leader and unifying force and thanks to him, France is playing to their full potential. Perhaps losing Ribery was the best thing that could had happen to this team. Losing their biggest star forced them to unite and play for each other and with each other, instead of depending on one person to resolve the matches and carry the team on his back. Not everything is perfect. The defensive line, when under pressure is a bit suspect, and Lloris is not a world class keeper, so not everything is roses and they are not the perfect team. You could almost say that France has 99 problems, but scoring isn’t one and in a tournament like the World Cup, that is 90% of the battle.